Google I/O 2014, the annual developers conference for Big G, introduced a plethora of new goodness. From Android Gear to Android Car to Android TV, it was quite the showcase. But the one common theme among the reveals? Android. Google also gave us the first true look at Android L, and it's slated to be the biggest change to Android since its inception. Luckily for owners of the Nexus 5 and the 2013-edition Wi-Fi Nexus 7, Google has made the developer previews available for download and installation. We know you want Android L on your Nexus, so grab your device and let's get it done. I'll be showing you this method using a Windows 8 PC, but the steps should be quite similar for other operating systems. 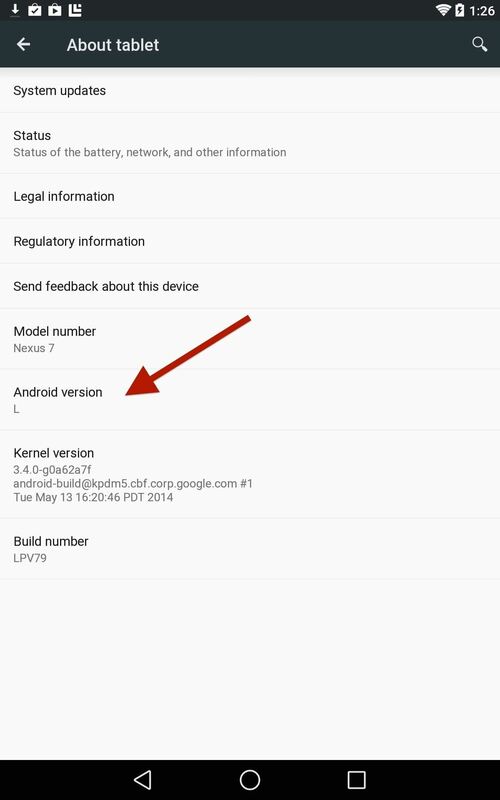 Note that Android L can also be installed through an automated process using the Nexus Toolkit and WIndows—check out Dallas' guide on that if you'd rather not mess with fastboot commands. To flash the new OS, you will need to download the Android SDK, which includes fastboot, the tool you'll use to install "L" on your device. Once you have it, make sure to place it somewhere you can easily find it later, like your desktop—it will be called ADT Bundle. 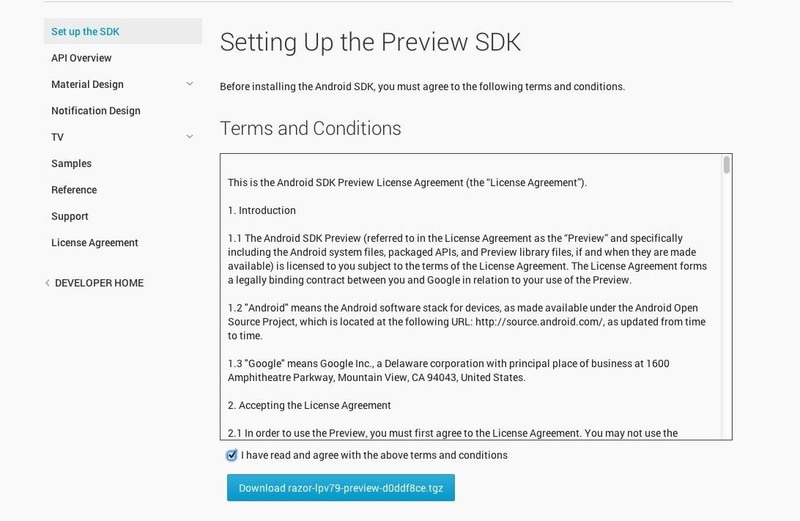 You'll also need the Android L factory image, so head over to the Preview SDK page and download the appropriate .tgz file, either for Nexus 5 or Nexus 7. You will have to agree to the terms to continue. Once it's downloaded, place it in the Platform Tools folder inside ADT Bundle -> SDK. If you did everything right, you'll have fastboot and flash-all in the same directory. Next, make sure that USB debugging is enabled on your Nexus so that it can communicate with your PC. Head to Settings -> Developer Options and make sure that "USB debugging" is checked. If you don't see Developer Options, just follow this ridiculously easy guide to unlock it. Make sure that all of the above has been completed and that you have backed up any important documents, images, and messages (apps and contacts will be restored if they were linked to your Google account). This process will wipe your device and put it back to its original factory state. When ready, power down and enter fastboot mode. To do so, turn your device off, then back on by holding the Power and Volume down buttons—this will take you to your device's fastboot menu. Connect your device to your computer via USB and put it aside—the next time you'll interact with your Nexus will be once the new OS is up and running. On your computer, head to the Platform Tools folder we copied the extracted images files to (from Step 1), then hold the Shift key, right-click in the folder, and select Open command window here. The process can take a few minutes, and when it's done, you'll see the last command line say Press any key to exit...—press any key, and unplug your USB cable. 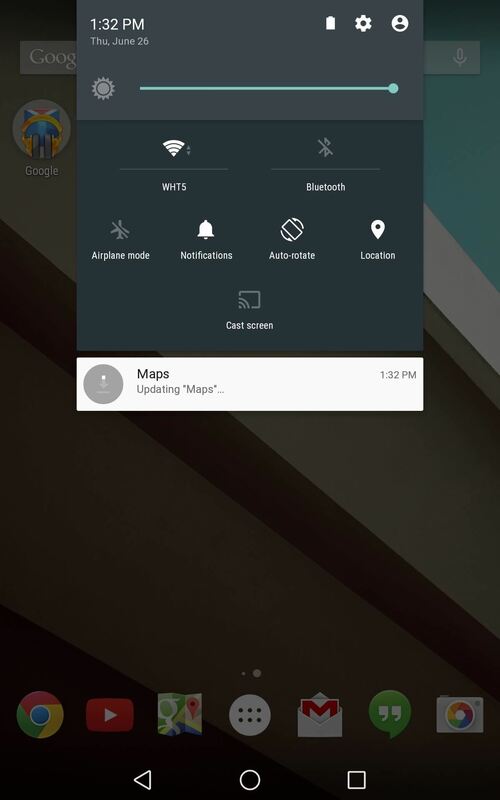 At this point, your Nexus device will be booting up (give it time), after which you'll be at the main setup screen. That's it! With a few simple steps, you're now using the absolute latest and greatest from Google. Have fun looking around, and let us know what you think. This is a big change from the Android we all know and love, and I like it! This was by far the most easy tutorial on this that I've found. Great work!! That is highly appreciated. Thanks! Will I still be able to get OTA updates on on my nexus5 if I get android L ? Yes, but the next OTA will most likely be the full version of Android L.
If the preview gets updated, we'll probably have to install it manually. Thanks a ton. I'm downloading the files right now and will be installing android L. Whats the option of rolling back to official kitkat 4.4.4 ? Pretty much the same exact steps, except you'll use the image file 4.4.4, which can be found here. how would i do this on Mac? it's a little different, but are you familiar with using the Terminal on your Mac? Basically, you will need the two downloads, then place the Factory Image contents in the same folder as the platform tools. 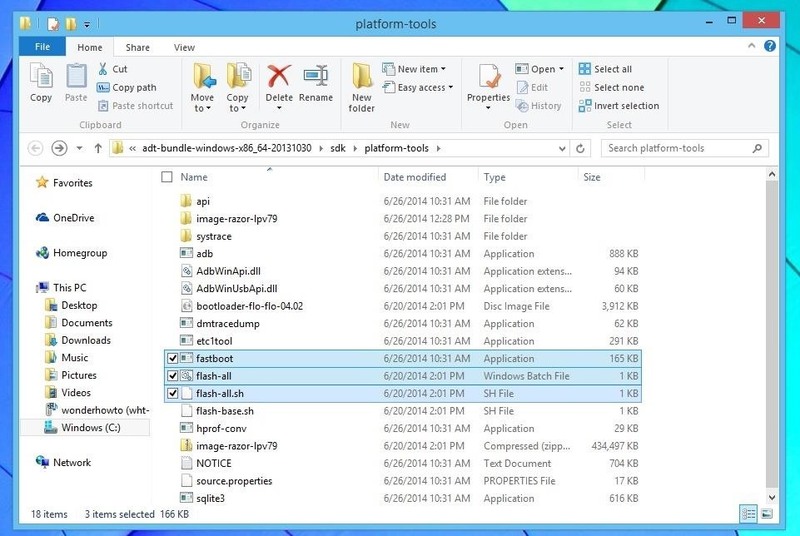 Navigate through the terminal to the platform tools folder and run the command ./flash-all.sh. Let me know if this works or if I confused you. 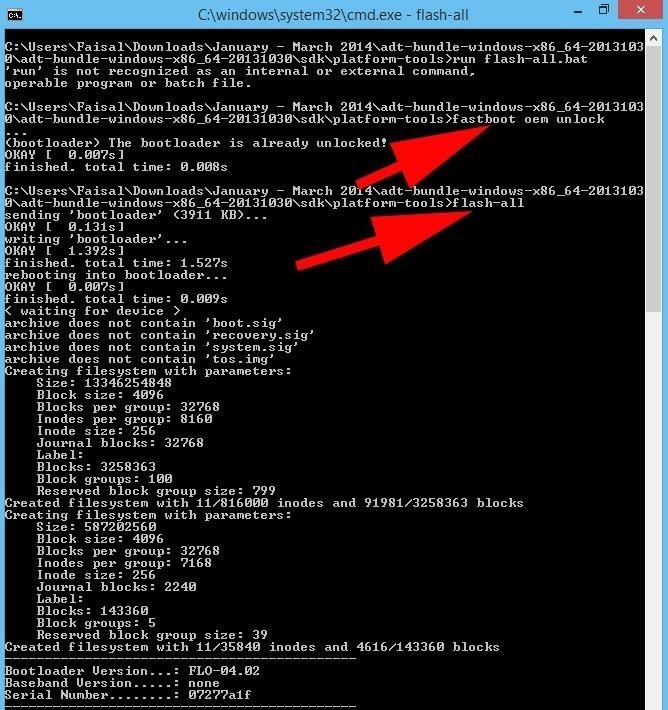 I can't find "flash-all" in platform-tools. What might i have done wrong? You have to place it in their. The guide instructs you on where to place folders. I successfully flash the files but boot won't progress past the floating circles. Ideas? Fixed -- takes upwards of 7 minutes to boot but does get there eventually. In case anyone else has issues, give it lots of time. Quite good article. When following this guide, one thing missing is installing Google USB Driver http://developer.android.com/sdk/win-usb.html on my Windows 7 x64. 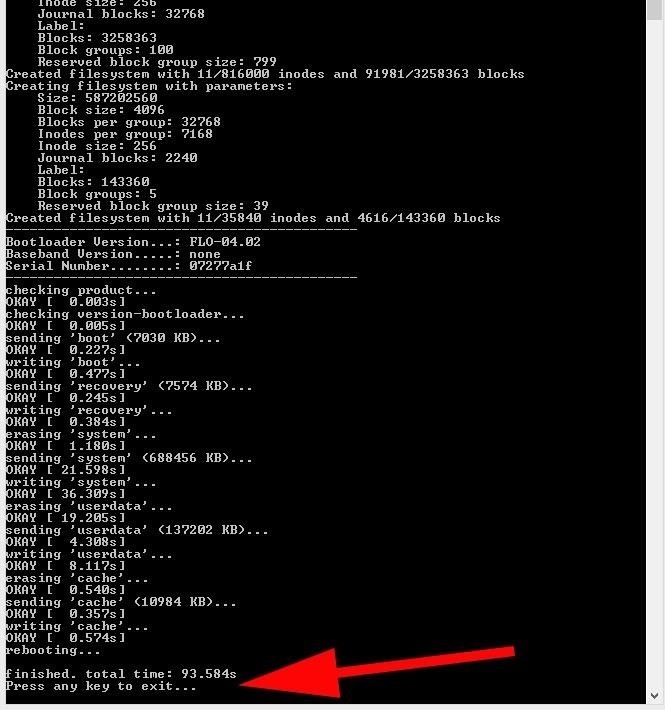 Will we get the ota update for nexus 7 2012 version or do we have to get 5.0 only by flashing? I have CyanogenMod 11 right now, will this work? Do I have to factory reset data/cache? Does Titanium Backup work to restore game data and other app data? need help..mine stuck at WAITING FOR DEVICE.. It has been reported that this part can take a little while. Keep me posted. And when does it say this. What was your previous step? Is there any way to install Android L without Unlocking the bootloader...????? Nope, it's necessary for installation. You can, however, relock it afterwards. Unfortunately, no. As stated by Google, this step is necessary in being able to flash the new build. 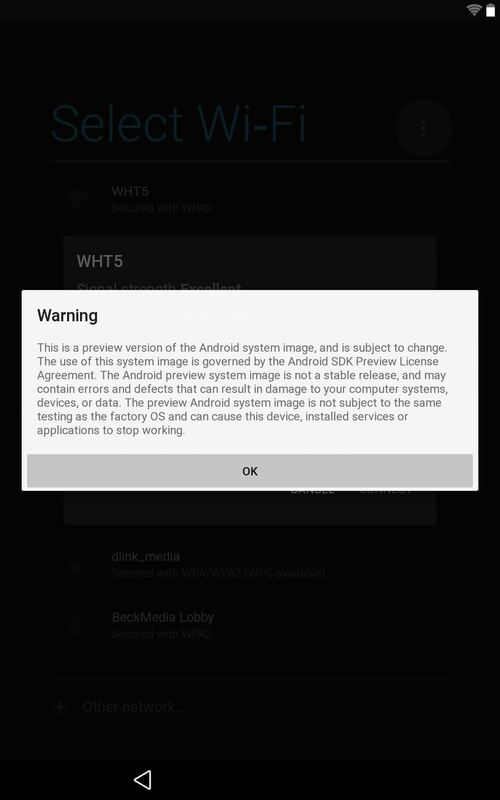 How to relock it after installing Android L? I've just misunderstood on "fastboot oem unlock"
For some reason when I install the android SDK (both times; tried reinstalling) I don't have any of the "flash" related files between "fastboot" and "hprof-conv" (see above in second picture). Any idea why this is happening? I'm running 64-bit windows 7. Thanks.